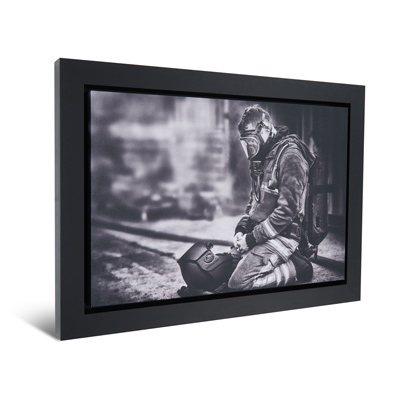 This modern product is made by photographically printing your image, applying a canvas effect seal, wrapping it around a 2" block then framing the canvas wrap using either a satin black or white inlay frame. Creating a beautifully elegant finished product. Click ‘Buy Now’ above to configure a Framed Canvas Wrap now and see what it would look like with your images.